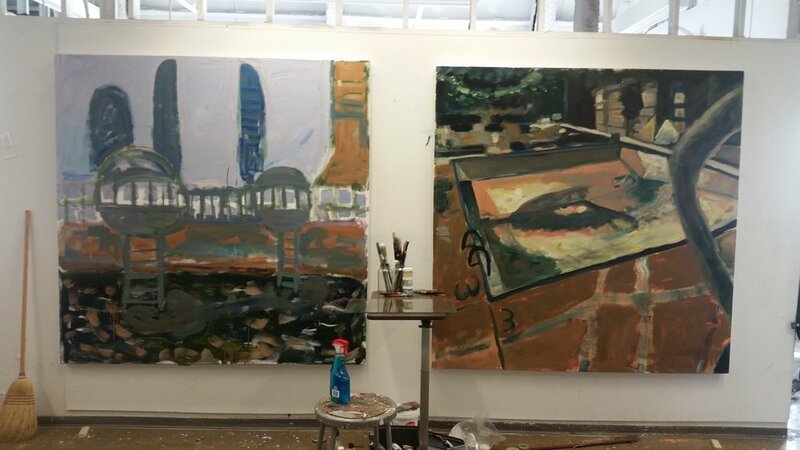 These are the two paintings I worked on first thing in the morning. They are both based on a park that's just south of my house. I've become interested in parks and courtyards as places that are public, but have an element of privacy or safety. With these paintings I am trying to let go of the goal of close realism that I've had while making my previous cityscape paintings. Both are based on drawings I made on site.